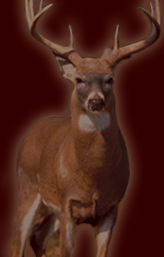 White Horse Creek Guided Hunts offers Affordable Trophy Whitetail Deer, Turkey, Quail, Coyotes, Varmints and Fishing. Northwestern Alva, Oklahoma. CHECK OUT A MONSTER Boone & Crockett Buck Shot Opening Weekend 2018! Click HERE to see a few harvest photos from this season! Welcome to White Horse Creek Guided Hunts 2018-2019 Season! We have a limited number of openings for the upcoming turkey hunting season as well as a few for our whitetail deer season. If you have any questions about our services, contact Dustin Earnest at (580) 327-7888 or send an email today at dustinearnest450@yahoo.com, he will be glad to discuss the details of the hunt and furnish a list of past clients for references.